Science is Takayiyo's favorite subject right now. He is a sponge when it comes to the Universe. He just can not get enough information about the Sun, Moon, planets and other galaxies. He also loves to use his Lego's (almost daily) to demonstrate the Laws of Physics, engineering, and anything else he can think of. 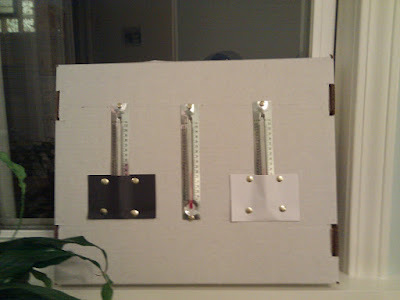 This space is for our science experiments, interesting factoids and works. 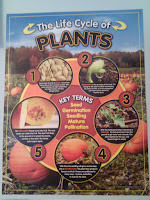 Last week we did a lesson on the lifecycle of a plant. 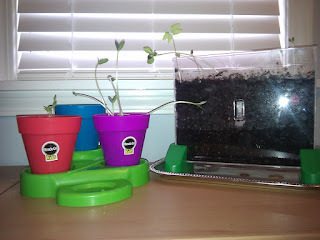 We've talked about plants before (we have planted them in different materials, learned about what they need to grow and how to care for them, etc.) but Taka loves plants so much (and they are lots of fun), I thought we'd try another approach ~ The Lifecycle. We used this handy dandy poster from Oriental Trading to get us started. This poster is simple but effective to start things off. I would strongly encourage everyone to do more research and go into more detail yourselves though. Taka also keeps a Science Journal for his observations and notes! 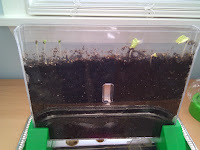 We began with seeds and within 3 days we had sprouts! 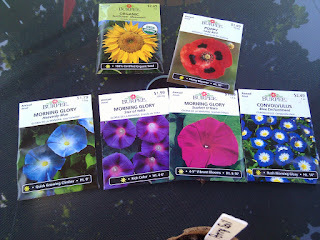 The long clear planter contains 2 different types of Morning Glories. The cool thing about this planter is that we will be able to see the root system when it matures. 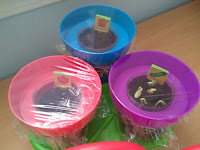 The other pots were a "Miracle Grow 3 in 1 Kit" Taka received for his birthday. 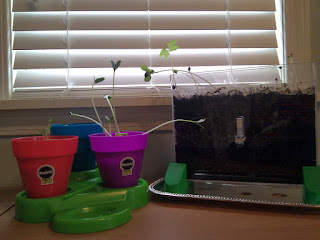 It is actually a very thoughtful kits with seed pots and larger pots for after separation. At this point the cucumbers were the only sprouts (in the purple pot). 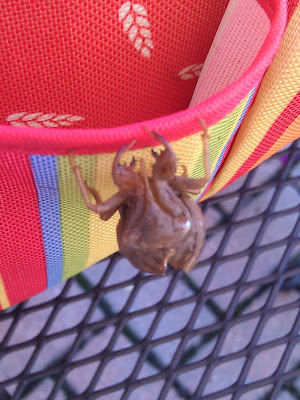 Growing up we didn't have cicadas every year where I lived. However, here in the Chicagoland area it seems as though we have them every year. We've certainly had them the last 3 years. Although it's new to me, it's not new to Taka. He's been growing up with them and this year he has found several shells to study, right here in the back yard. 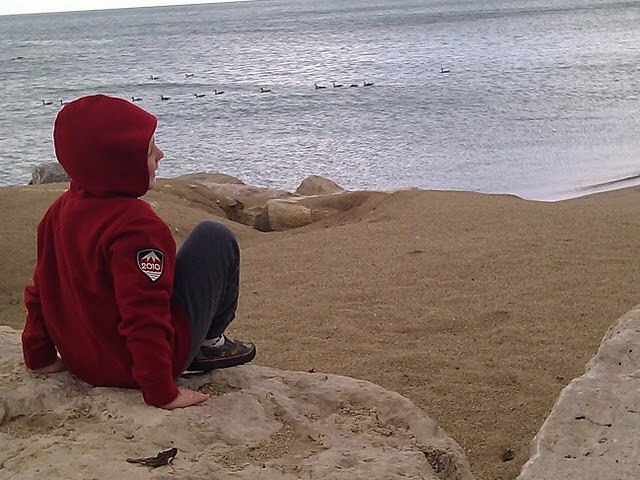 He studies them for a while, gets creeped out, leaves, then comes back to them with renewed awe. 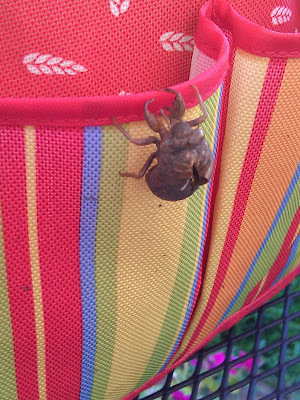 These pictures were taken on his garden tote bag. Today we went to our copy of The Smithsonian Institutes Animal - The definitive visual guide to the worlds wildlife. It is one of the best books and we love, love, love it! The pictures are amazing and the information isn't too bad either :) Anyway, we learned that cicadas are ARTHROPODS and what an ARTHROPOD is. We also learned that only the males "sing" and that their calls can be heard up to a mile away. No wonder we have trouble sleeping at night when they are singing. We also learned about their "family". Taka loves our garden that we started from seed. 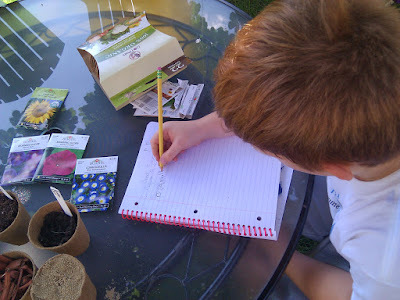 Getting back to more formalized science experiments, we decided to see if the seeds would grow in ANYTHING. So we filled some pots with different things (grass, rocks, sand, wood chips, potting soil, potting soil + salt, and garden dirt) to see if seeds would grow in the different environments. Hypothesis: Only wood chips, garden dirt and potting soil will work. It's not so much of a hypothesis as a statement but it'll do. As we observe our pots in the coming days and weeks he'll see what works and what doesn't. 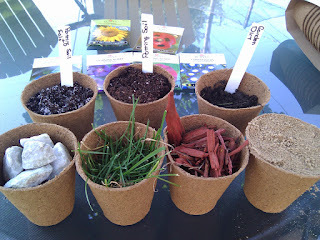 As predicted the seeds did not grow in sand, grass, rocks or the soil+salt combination. We did get some really nice flowers from the wood chips, garden dirt and potting soil though. I was surprised at how well they grew in the wood chips. On day 2 we discovered that the best results came from Salt, Vinegar and Baking Soda. 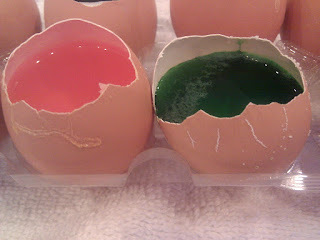 The green egg is Vinegar and the Orange Egg is our Baking Soda. 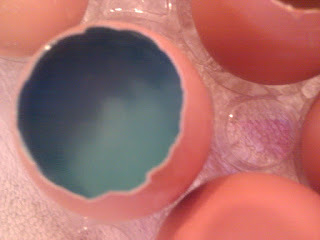 As you can see the crystals grew through the shells, not just around the edges. 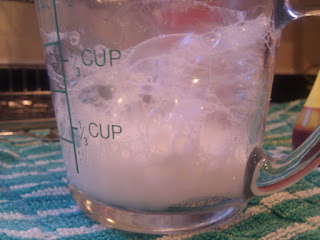 Add water soluble ingredient(s) to water and stir until completely dissolved. 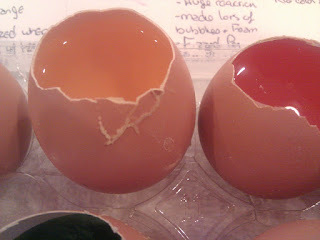 Add food color and pour into egg. 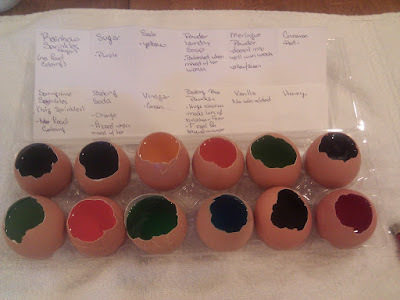 Viola, now you can make Egg Geodes too! Step 1 - Gather your clean and empty eggs. 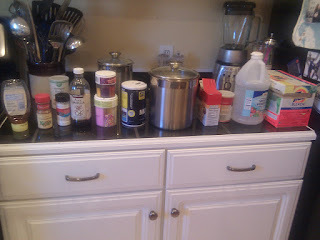 Step 2 - Gather all your ingredients so you have them ready to mix :) We used Sprinkles, Sugar, Baking Soda, Vinegar, Laundry Powder, Baking Powder, Meringue Powder, Vanilla, Honey & Cinnamon. We mixed each ingredient with hot water in a measuring cup and then poured the mixture into an egg. Be sure to clean the cup and any other utensils each time so you don't mix ingredients! The yellow egg in the picture below is our Salt Water Egg. In only 90 minutes we started to see crystals form. Some of the crystals are hard and some are soft. 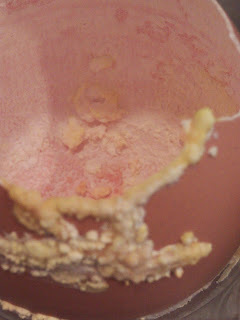 The orange egg (below) has a baking soda solution. 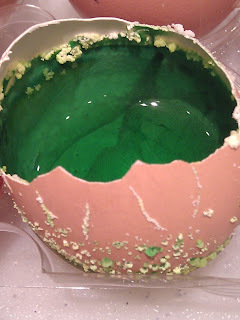 The green egg (below) has a vinegar solution. We used 1/4 cup vinegar & 1/4 cup hot water. Both have begun to grow crystals in about 90 minutes. 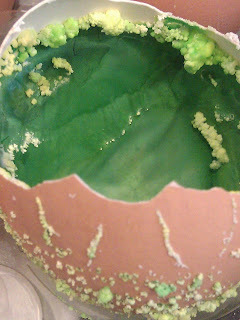 Taka' noticed that the vinegar egg has a bit of foam on top and some bubbles on the bottom. Check back in a few days for updated photos of our crystals! 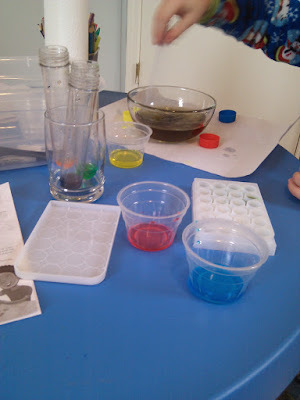 Today we pulled out the color mixing science kit. Taka' had so much fun! It's a very simple idea that can really go a long way in a lesson. We started with dropping color tablets into test tubes of water. 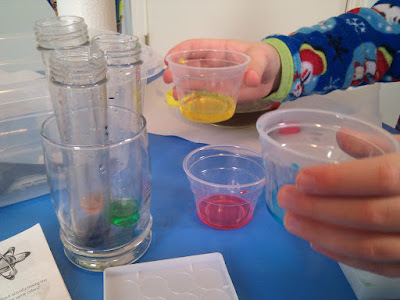 By putting the colors in the test tubes (or other clear container) the child can "mix" the colors while they are still in the tube (or container). By holding the yellow and red test tubes side by side Taka could see how they made orange. Once we finished that we then began mixing the colors in a mixing tray. (You could also use clear cups.) 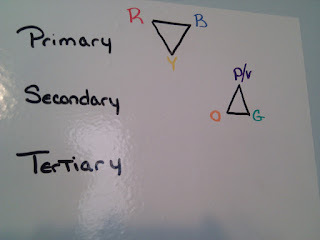 This opened the door to talking about Primary, Secondary and Tertiary colors. 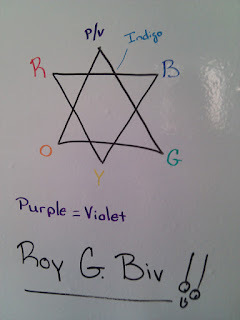 Which then went into the Color Wheel, Roy G Biv, as well as contrasting and complimentary colors. This was a really fun and easy lesson to do and Taka' loved it! 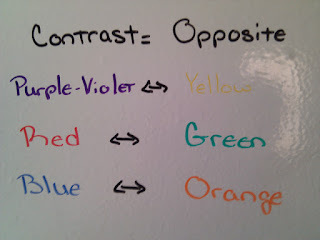 I'm including some of our white board pictures as this was mainly a verbal lesson and I didn't write any actual material for it. Yeast! Who knew it could be so much fun? Takayiyo has been begging to make bread for 2 weeks. It started out like many things with the phrase "I know how to do it!" (You may remember when he discovered that he "knew" how to make life.) So it began, 2 weeks of "You just mix flour, salt & water!". So we made a quick trip to the store for a few supplies and began our journey of discovery. We began our journey quite simply by putting some yeast into a bowl and looking at it. We swirled it, poured it from one bowl to another and generally played with it until Taka was ready to move on. Then we did a few "experiments" and baked some really yummy bread. We did 2 experiments by combining water, yeast and sugar in containers (bowl with lit and bottle with balloon). The lid on the container didn't blow up as Taka would have liked. However the balloon did begin to fill up as you can see below. In the end we had a great time learning about yeast, how it works and what it can do, and eating yummy home made bread.